Fraker Fire Protection Inc. has ben providing standpipe installation in Los Angeles County, Ventura County, Orange County and the Inland Empire for over 30 years. It is our commitment to meet all fire protection system needs including fire Standpipe Systems. 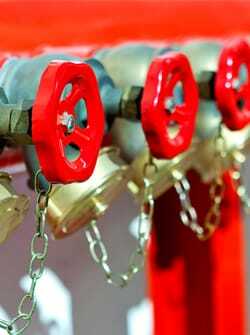 Standpipes are a critical component of any fire suppression system and we offer reliable and effective testing, repair and installation services to ensure that you are protected in the event of a fire emergency. Fraker Fire Protection offers reliable Standpipe Systems Los Angeles, Ventura, and Orange County. We are a full service fire protection service company and we meet all state and local Fire Department requirements. Fraker Fire Protection Inc. has skilled and experienced technicians who are licensed by the State Fire Marshal and/or Contractors State License Board. Certified technicians at Fraker Fire Protection Inc. will inspect, test, repair and install standpipe systems in compliance with all of the regulations prescribed by the National Fire Protection Association (NFPA) and the State of California Fire Marshal. The State of California Title 19 and NFPA 13, 13A 14, 20 and 25 require inspection, testing and maintenance of standpipe systems and fire sprinklers. Our services meet these regulations in order to confirm that all systems are functioning in proper conditions. A standpipe is a system of pipes that is dry or holds water in order to fight a fire. The taller the building, the more water and pressure has to be pumped up the standpipe. We will test and inspect Class I and III standpipes as well as Class II (Wet) Standpipes. Our services will test for sway bracing, hangers and corrosion to insure that the system is in proper working condition. At Fraker Fire Protection Inc. we have a knowledgeable and experienced staff of technicians who will perform various services for your fire protection system needs. One of the oldest and most effective systems extinguishing fire is a standpipe system. It is mandatory to have your standpipe system inspected, tested and repaired and Fraker Fire has all the resources and technical skills to perform these services for you.